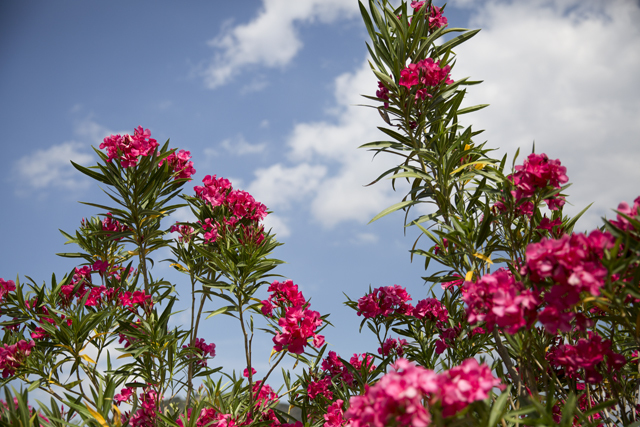 Nerium oleander is an evergreen shrub or small tree in the dogbane family Apocynaceae, toxic in all its parts. 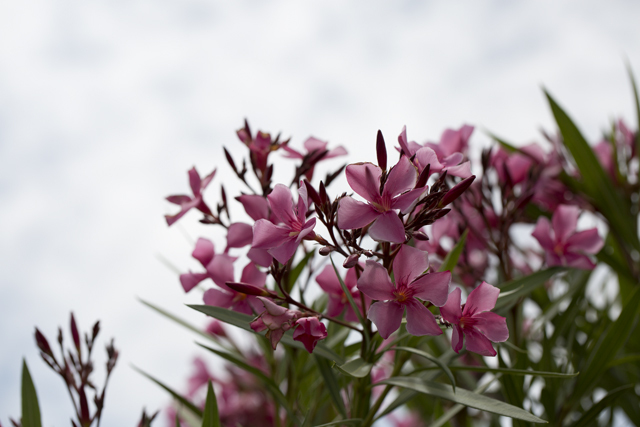 It is the only species currently classified in the genus Nerium. 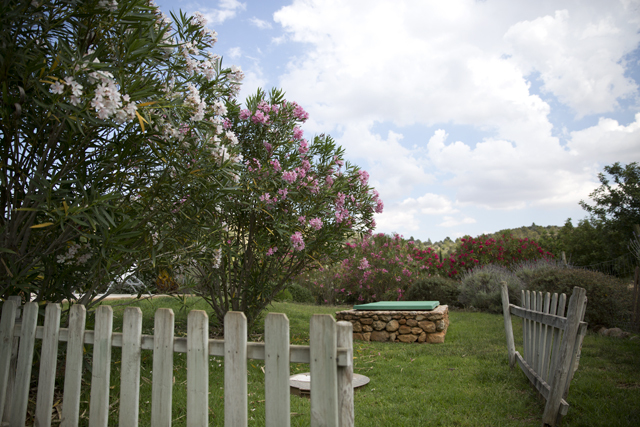 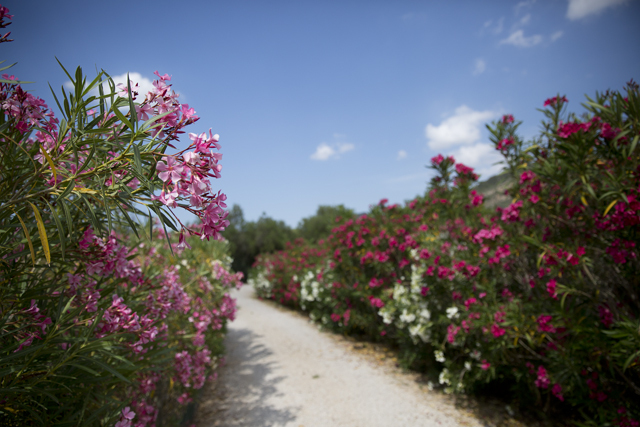 It is most commonly known as oleander, from its superficial resemblance to the unrelated olive Olea. 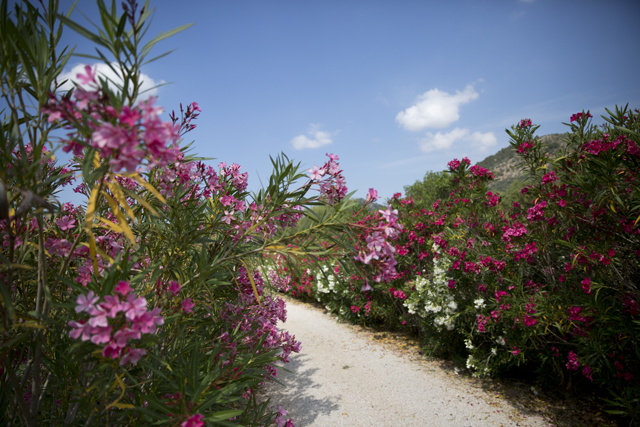 It is so widely cultivated that no precise region of origin has been identified, though southwest Asia has been suggested. 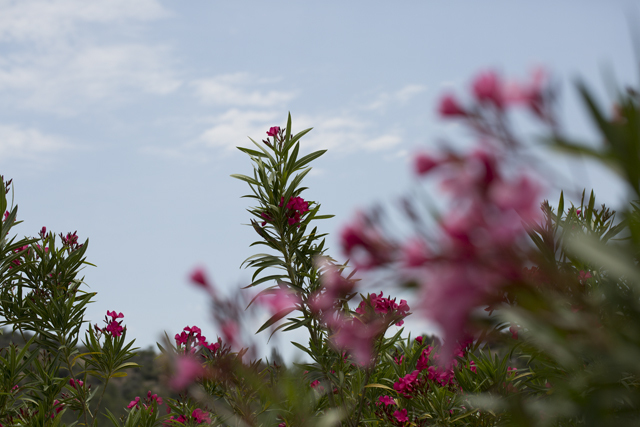 The ancient city of Volubilis in Morocco may have taken its name from the Berber name oualilt for the flower. 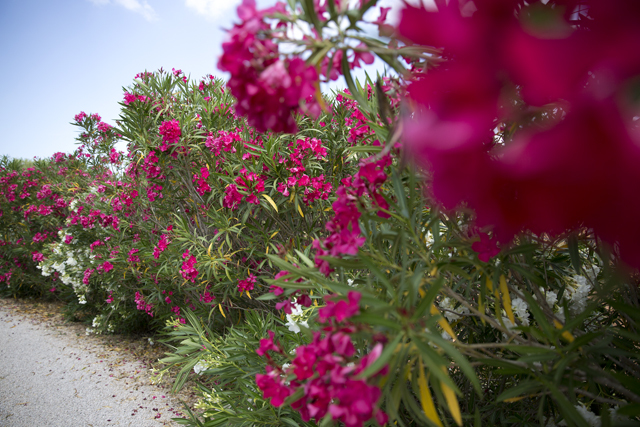 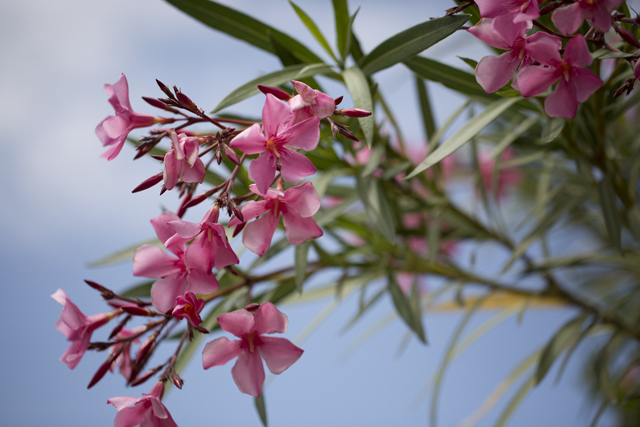 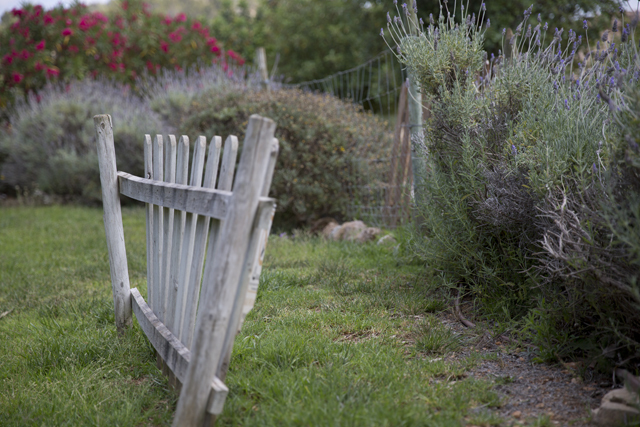 Oleander is one of the most poisonous of commonly grown garden plants.